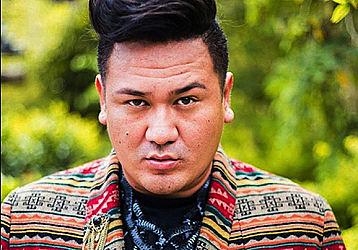 The journey for Samoa’s most promising emerging fashion designer, Dane Mulinu’u Fabricius, of D.M.F has just begun. Having secured a spot on the Pacific Runway Fashion Show in Australia next month during the finale of the Inaugural Samoa Fashion Week, Mr. Fabricius has got his sights firmly fixed on taking on the world. The 30-year-old who hails from the village of Lotopa is the son of Silupevaelei and Vaea Fabricius. From humble beginnings, Mr. Fabiricus is thrilled and humbled by his recent success, having collected just about all the prizes there were to be won last Saturday. “I am overwhelmed and humbled for this wonderful opportunity,” he told Samoa Observer. He commended the Samoa Art Council for the great initiative to have a Fashion Week in Samoa, and to also invite professional names to be the main judges of the event. “This was an outstanding idea to have a Samoa Fashion week,” he said. “It did not only showcase and expose our local talent and designs for clothing but also artistry of makeup and hair, lighting and to express fashion in Samoa. 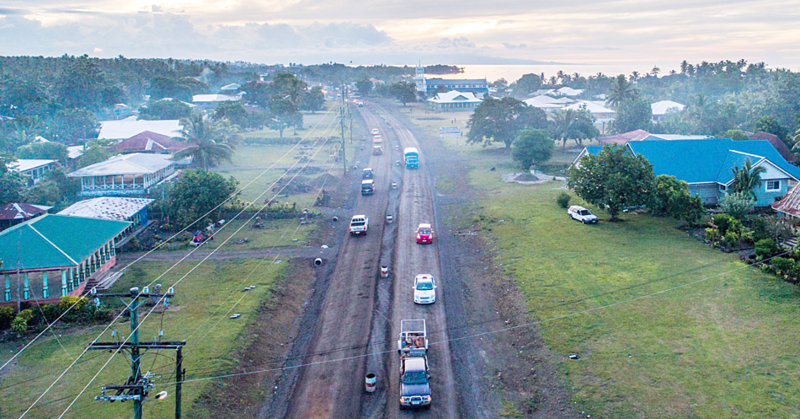 “This also acknowledges our unique Samoan culture and what a better way to promote exceptional talent here in Samoa as a foundation. 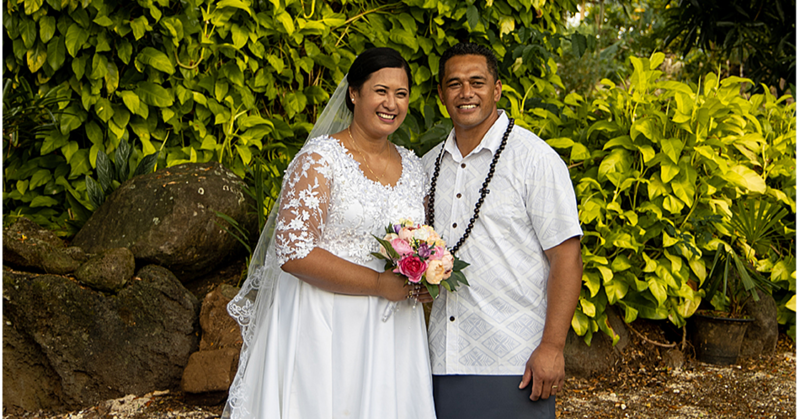 “This was also an opportunity for our local generation to experience and further take out to the wider world by using local natural beauty, handicrafts, resources and just by expressing what we have available here in Samoa for the world to see. For Mr. Fabricius, there was a lot to take in from the events of last week. “It was also an opportunity to learn from some of our prominent and famous fashion designers, and also learn about how to develop our talents. Fashion, he said, has always been his passion and hobby. “I have a great passion for fashion,” he says. “I always look forward to opportunities to dress up and show off my own designs and ideas whether it be Halloween parties, party planners, custom parties or basically any excuse to glamour up. Mr. Fabricius said he only had a month to prepare for the Samoa Fashion Week. So what inspires Dane and his creations? “Personality inspires me the most,” he said. “My fashion line was a reflection and influence of strong personalities of people that I love and hold to my heart; my late mum Silupevaelei, dad Vaea, late uncle Ponty, auntie Fiame Naomi and my eleven siblings to name a few. “Their different personalities combined different textures, colours; details made these 16 pieces unique in their own way and come alive. “And the fashion week has definitely been a stepping stone for me,” he added. And like anything in life, Dane said putting together his fashion line for the show wasn’t easy. However, he is completely in awe that everything turned out the way he envisioned it to be. And as the S.F.W is done and dusted, Dane’s now looking at another bigger competition where he will be looking at taking his best to showcase in Australia. And in the next couple of weeks, he will be working hard to put together his best for the Pacific Runway Fashion. But before that, Dane firstly wants to acknowledge everyone who supported him and encouraged him to pursue his passion. “First I would like to give thanks to my Heavenly Father for blessing me with this amazing talent; being able to have an eye that captures the natural beauty of the unseen and being able to transform ideas and visions to reality is all Him. He made it happen for me and I give him the credit for everything. Lastly, he wanted to thank the organizing committee of the SFW-SAC for the great initiative and for hosting a successful show which had been a stepping stone for him to the outside world.